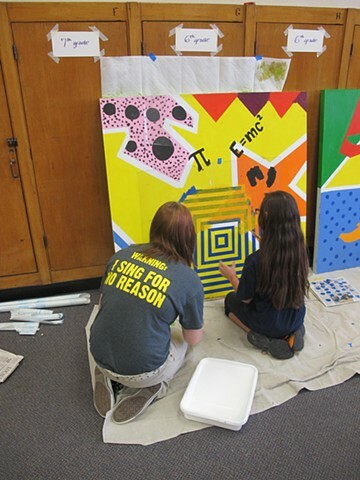 Modular Mural project created by the student council of Allison Middle School in Wichita, KS. Students studied Pop and Street Art, how to activate a space through creative placement of color and form. Students were able learn and apply math, engineering and technology applications throughout the process of planning, design and conception of the mural.